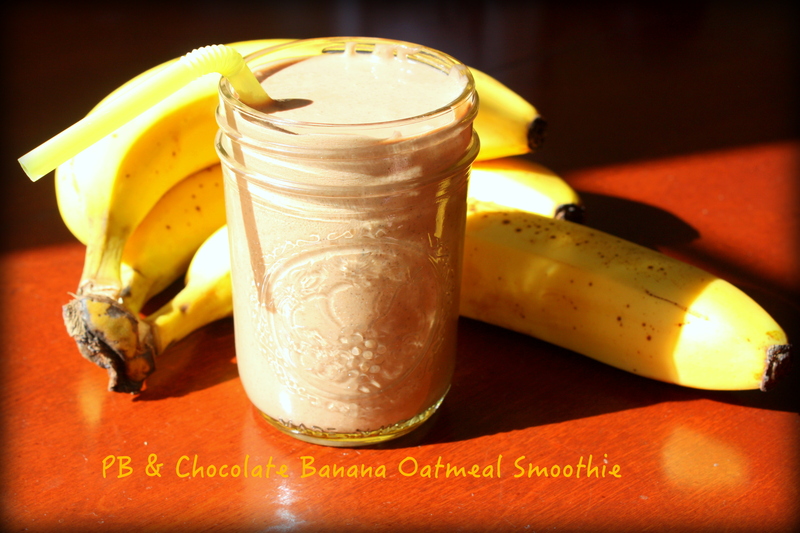 pb & chocolate banana oatmeal smoothie: it'll keep you full until lunch! 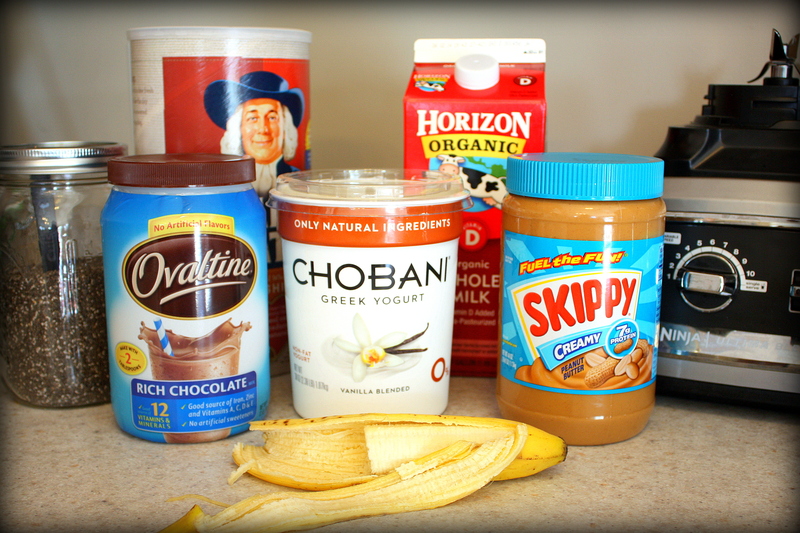 pb & chocolate banana oatmeal smoothie: it’ll keep you full until lunch! After my fiasco with PB2, I’ve been working on perfecting a peanut butter chocolate banana smoothie for my morning breakfast. I wanted something healthy, tasty but, most of all, substantial. If I’m gonna call a smoothie a meal, it sure as heck better fill me up (not an easy task when you’re eating for two). A few weeks and a few tester batches later, I’ve finally come up with a smoothie that meets all the criteria. BEHOLD! The Extra Thick PB & Chocolate Banana Oatmeal Smoothie! A glass of this delicious, extra thick smoothie will fill you up until lunchtime! Add all ingredients to blender. If you are using an individual cup, make sure to add peanut butter, milk and ice last. Pulse until desired consistency is reached. Enjoy! Note: Feel free to experiment with ingredient ratios (most of my tablespoons were heaping)! This bad boy won’t let you down. It’ll keep you full until lunch! Must be all that fiber, protein and omega-3… Delicious and nutritious! On Tuesdays, I share some of my favorite recipes. Make sure to come back and check them out! It’s great! Tastes so good, it’s easy to forget it’s pretty good for me!